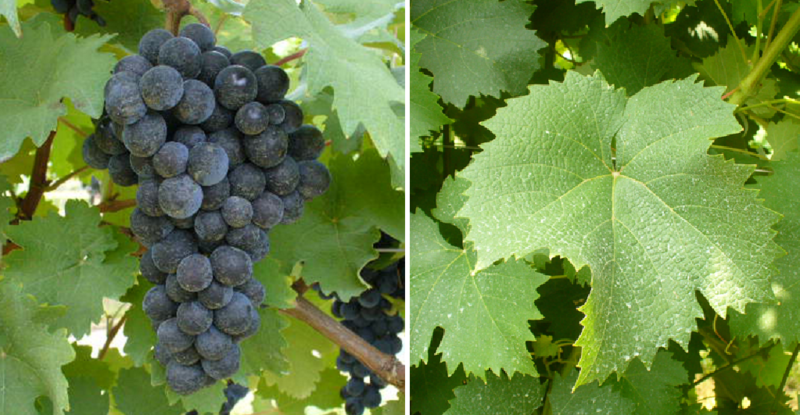 The late-ripening, low-yielding vine produces extremely colorful, full-bodied and velvety red wines with a slight bitter note. Above all, she serves as a blending partner for Sangiovese. Due to their resistance to bunch rot During drying, she used to like being in the past Governo method used. The variety is mainly in the Tuscany but also in the regions Lazio. Liguria. Brands. Sardinia and Umbria common. There she is like in many DOC / DOCG wines Barco Reale di Carmignano. Carmignano. Chianti. Chianti Classico. Colli dell'Etruria Centrale. Colli Etruschi Viterbesi. Colline Lucchesi. Lago di Corbara. Monte Carlo. Rosso di Montepulciano. Rosso Orvietano. San Gimignano. Torgiano. Torgiano Rosso Riserva and Vino Nobile di Montepulciano authorized. In 2010, Canaiolo Nero recorded 1,068 hectares (2000: 2,304) and Canaiolo Rosa only 1 hectare (114 in 2000). This page was last modified at 4 April 2019 at 18:31.